Deputy Director of Public Prosecutions Sibongile Mzinyate and President Cyril Ramaphosa allegedly knew about the matter since June last year. 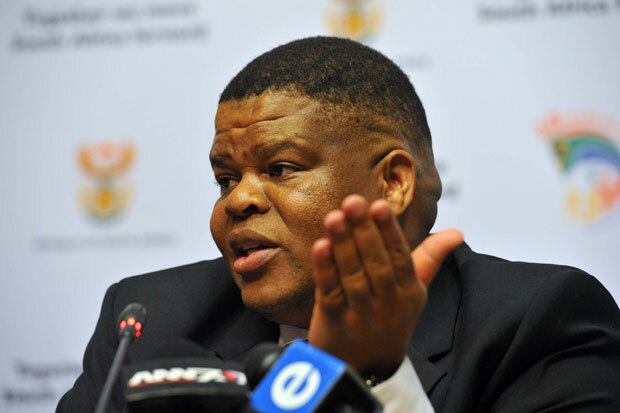 E-mail evidence has revealed the National Prosecuting Authority (NPA) and the Directorate for Priority Crime Investigation (the Hawks) have known for nearly a year that a former State Security Agency (SSA) operative had blown the whistle nearly a year ago on former minister David Mahlobo. Former Gauteng Hawks boss Major General Prince Mokotedi, Gauteng division head of the NPA Andrew Chauke, and Deputy Director of Public Prosecutions Sibongile Mzinyate, – as well as President Cyril Ramaphosa – have all been familiar with the matter since June last year. Attempts to obtain comment have been met with confusion from the police, and silence from the NPA. Meanwhile, hard physical evidence hasn’t been recovered and the whistleblower, code named Whiskey, has gone underground fearing for his life and may be difficult to entice to co-operate given a deep distrust of authorities. That’s according to forensic consultant Paul O’Sullivan, who slammed the organisations for what he termed a cover-up. When contacted by The Citizen, Mokotedi initially said he didn’t remember the specifics of the matter and didn’t think there had been an investigation. After being supplied with further information, Mokotedi said the report/affidavit was dealt with by two investigators who had referred it to the Crimes Against the State Unit at the Hawks headquarters. Meanwhile, outrage is mounting at the unfettered access to people’s private lives the SSA under Mahlobo appeared to have enjoyed following the release of the High-Level Review Panel on the SSA and the statement by Whiskey. Freedom Under Law executive officer Nicole Fritz – named by Whiskey as being surveilled – said it was deeply alarming state resources could be abused “in this manner”. “I’ve not been aware that I was being surveilled. It’s hard to know whether your phone is playing up because of interception or the routinely bad connections offered by the big cellphone service providers,” Fritz said. South African Communist Party spokesperson Alex Mashilo said criminal charges should be laid against those complicit in the abuse of state intelligence services. “The SACP, on becoming aware that it was one of the targets of criminal and illegal rogue intelligence activities, formally lodged complaints with the Inspector-General of Intelligence and supplied all relevant information necessary for a successful investigation,” Mashilo said. SACP general secretary and transport minister Blade Nzimande and SACP first deputy general secretary Solly Mapaila are among those Whiskey claimed to have surveilled. Hawks spokesperson Brigadier Hangweni Mulaudzi told The Citizen the matter was previously handled by Gauteng Organised Crime before being escalated to head office “for guidance hence it is within Mpumalanga jurisdiction”, however wouldn’t give details on when this happened, or the status of the docket.